The early days of the Internet when one-size-fits messaging worked passed long ago. Today, marketers have to work hard to create relevant and personalized content that speaks to the unique needs of customers, offering them only those products and services that add value to their lives. Email marketing is one of the go-to tools for marketers across the majority of industries. Its efficiency has been proved over the years, and customers are much more inclined to purchase products if they are marketed through email. With the new trend towards personalization, email professionals do not miss the opportunity to adapt it to their needs. But how can one achieve ‘personal’ email marketing to get more opens and clicks? How to make it really work to your business’ benefit? In this article, we’ll cover some basic tactics for crafting personalized, lead-generating messages. But first, let’s find out the reasons why email marketing can fail to achieve the goals set in the first place. 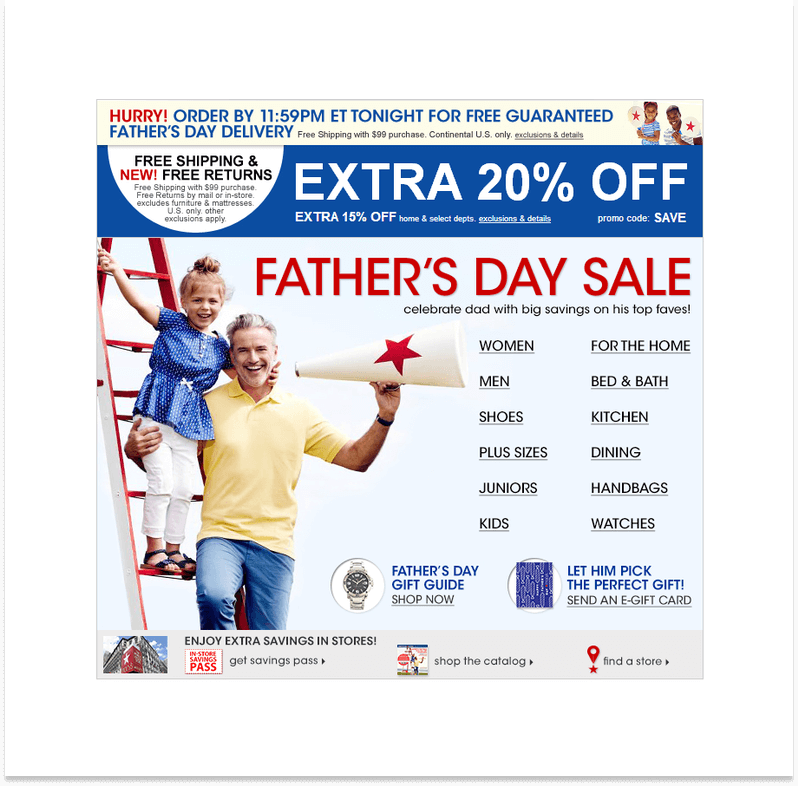 When online stores offer email subscriptions services, they usually promise that customers will receive only relevant emails. But marketers hardly ever keep this promise. Shoppers are often almost buried under hundreds of newsletters they get within the first week or a month after the subscription. It’s a wrong tactic as excessive emails count among major reasons for unsubscribing from a promotional mailing list. Sending too few emails won’t do you a good turn too. Signing up for email updates shoppers show you that they want to hear from your store. If they don’t, they will unsubscribe soon. You may employ an automated email sending solution like Abandoned Cart Emails Pro for Magento 2 to send marketing copies to subscribers in a timely manner. Having a full understanding of the audience is a crucial part of the successful marketing campaign. If you don’t have it, you’ll lose the game. Do your best to learn who your subscribers are and what they need and expect at each stage of their interaction with you. Econsultancy found out that mail list segmentation is the highest priority for email marketing campaigns but still only a small number of businesses use this technique today. To make segmentation easier, you may ask new subscribers to pick the kind of information (e.g., discounts) they want to receive. 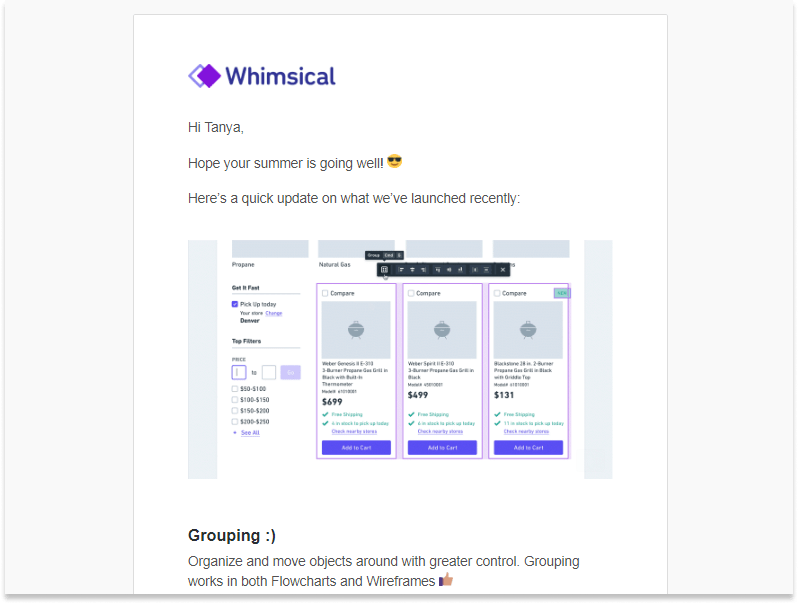 Working on a design for your email, it’s vital to ensure that it will be displayed correctly, irrespective of the devices your subscribers are using. The statistics say that more than 71% of users immediately delete emails which are not displayed as intended. Pay special attention to making your copy mobile-friendly since most email opens occur on mobile. Decide on the text-images balance. 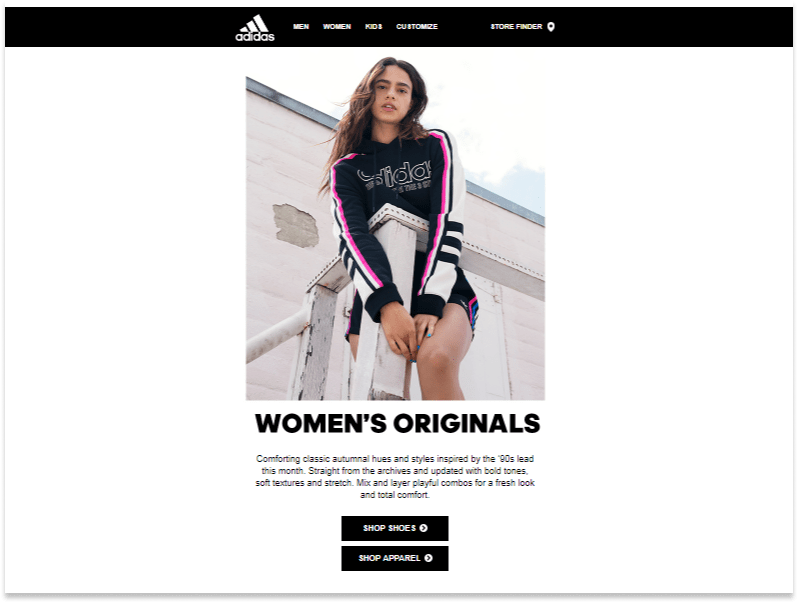 You may experiment with your own designs or make use of the 80:20 text to image ratio recommended by MailChimp. A good marketing copy starts with a great subject line. 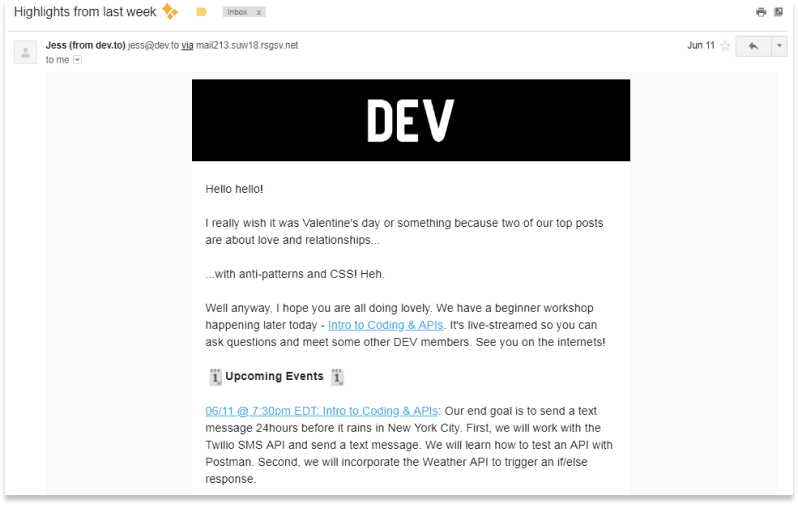 Written poorly, it won’t pique people’s interest and they will never open the email. Check out this article for the most effective subject lines. Make sure to use the actional language in your emails and personalization whenever possible. Show subscribers that the email comes from a real person by adding a real (or fictional) name, surname and including a photo if possible. A no-reply or generic return address is also a bad idea as it doesn’t look trustworthy. Try to be brief and focus on benefits rather than on features. Inactive subscribers can become a much bigger problem than you think. Up to 75% of your subscribers may be inactive, meaning that they are not engaging with the marketing content you provide. Email service providers (e.g, Google) may flag your emails as spam or junk because of hundreds or even thousands of unopened emails in boxes of such users. Remove these subscribers from your list. But first you may try to re-engage them. For instance, by sending such customers a special goodbye email or offering a discount to people who hit the ‘unsubscribe’ link in the email. Truly personalized emails catch the recipient’s attention from the very first second when he or she sees it in the email box. When approached in a more personalized way, customers tend to trust brands more and choose them over competitors. This is a simple truth, which, in turn, leads to a simple conclusion: generic, impersonal messages will be more likely ignored or put to trash. Even if you put all your effort and imagination into creating a great marketing copy, it won’t bring any results if it is not person-centered. Given this, we would like to share a short guide on how to personalize your email marketing strategy. Here’s what you should do. There are numerous ways of building a mailing list and growing it: subscription forms, email-only special offers, freebie downloads, and many, many more. But having such a long list is not enough. You should slice and dice it to make a personalized approach work. Segment the list using specific criteria (e.g., age and gender) and position your offers specifically for each of the segments. Creating messages that will resonate well with particular segments, you will get the message right and improve conversions. You are sending an email to your prospects with the sole purpose to engage them and lure in to make a certain action, isn’t it? Using a ‘no-reply’ address for your messages, you don’t give recipients an opportunity to respond directly. This is definitely a wrong tactic. A prospect interested in the offer described in your email may have additional questions about it. Having to head over to the ‘Contact Us’ section to find an email address to send a question to will frustrate even the most patient people. Allowing prospects to ask you all the necessary questions by simply clicking the ‘reply-to’ button is a easy way to engage them and improve loyalty to your brand. To reach greater personalization, use a real person’s name in the emails you send to your audience to make them not only more credible and recognizable but also more engaging. Doing so, you will increase the open rate of your emails as most Americans, for example, decide whether to open an email by looking at the name of its sender. If possible, utilize a name that your leads may know (e.g. a sales rep they talked to or your CEO). You may do this by simply checking a corresponding box in the settings of your marketing automation solution. 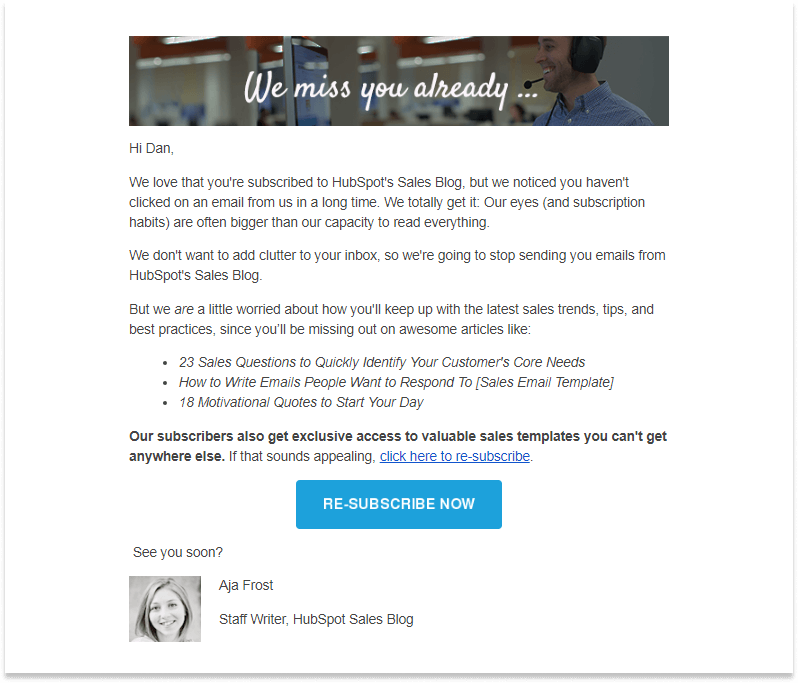 A well-written email copy will never sound like a marketing message, and such personalization can be obtained by putting implementing personalized information into the email body. Remember that your marketing team has put much time and effort to collect as much information about your leads as possible. Why don’t you make use of this information for your benefit? The easiest way to make the body more personal is to greet subscribers with the first name., addressing them more directly. Customers’ recent purchases and browsing history are a never-ending source of inspiration for a smart marketer in all the endeavors, with email marketing being no exception. 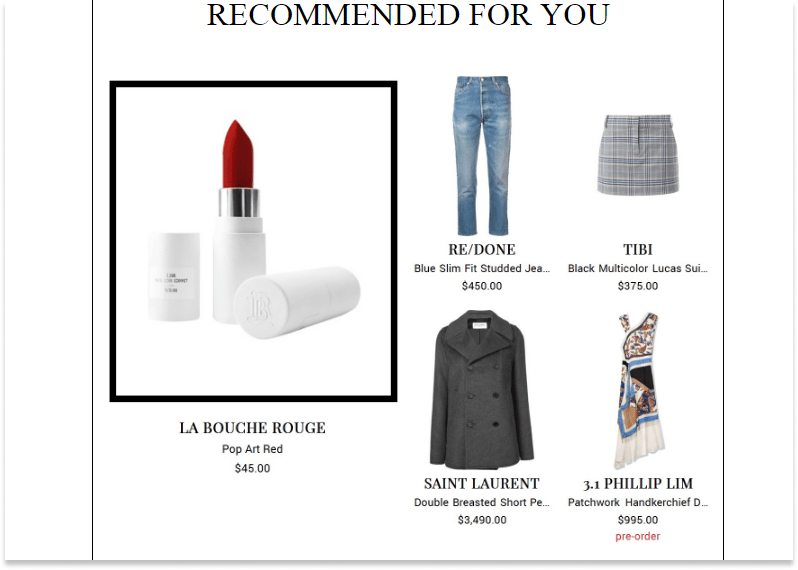 Leverage this valuable information to create irresistible email campaigns, boosting sales through relevant product recommendations speaking right to ever recipient, depending on his or her preferences. But be wise about using such recommendations: a separate section at the bottom of the page is enough in most cases. 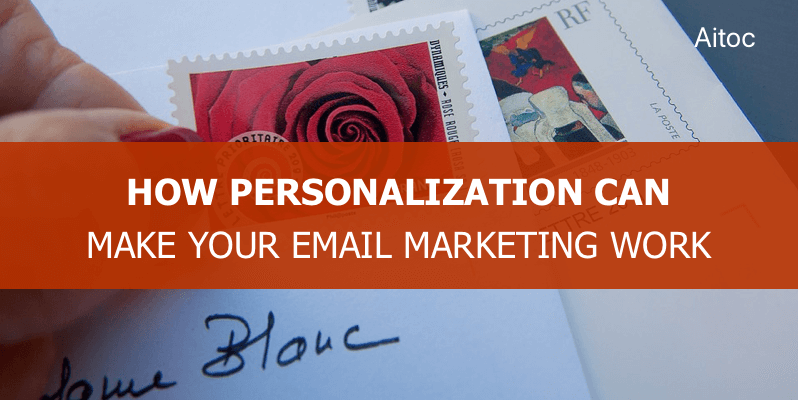 Personalized email marketing is a proven way to grab the attention of prospects, as it helps online businesses increase the open rate, build trust and improve recognition of a brand, ultimately leading to higher sales. 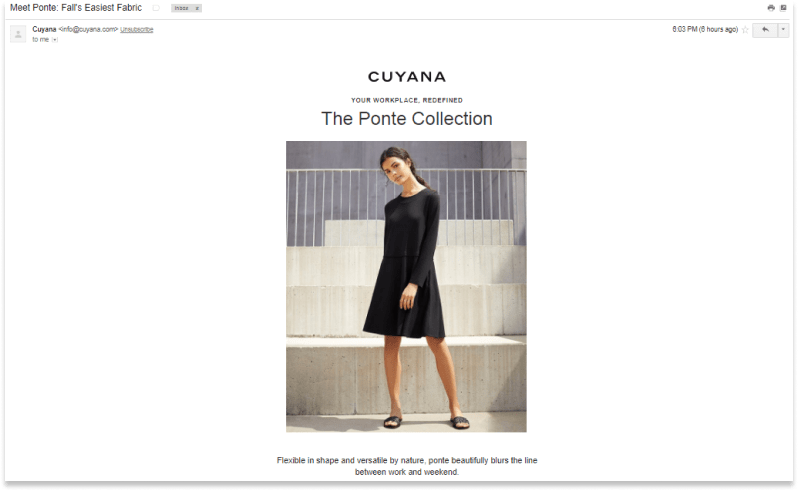 In this article, we’ve described some effective tactics for achieving email personalization. We hope you find out tips useful and they help you reach new marketing heights. Running a Magento store? 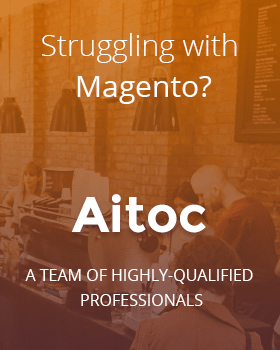 Check out Aitoc’s Magento 2 extensions that can help you succeed in your email marketing efforts.